Our new Bale-Building leaflet is now published and is beginning to be actively distributed. 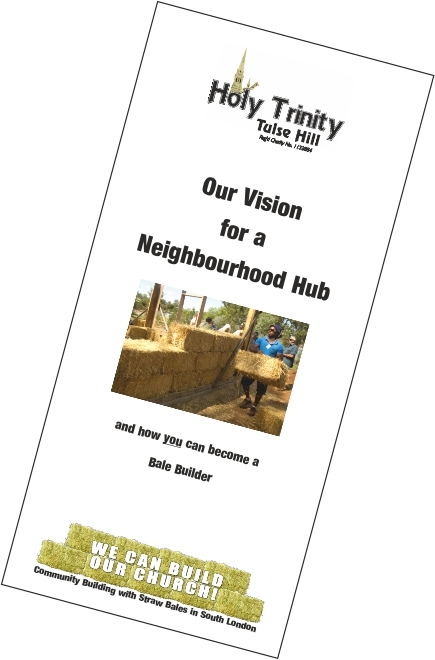 This tells you how you can support the building of Holy Trinity’s Tulse Hill Neighbourhood Hub. The leaflet gives you background on the context, the commitment of Holy Trinity over the last 150 years, the size and viability of our amazing vision, and why community building with straw will make such a huge difference to so many people. The principle of being a Bale-Builder is that you give something and find two other people to do the same. You can download the leaflet here.